Enter your custom text and birthstone choices. Please be as specific as possible in regard to placement of birthstones. (i.e before text, after text or both sides of text, if multiple stones are selected) Thank you! 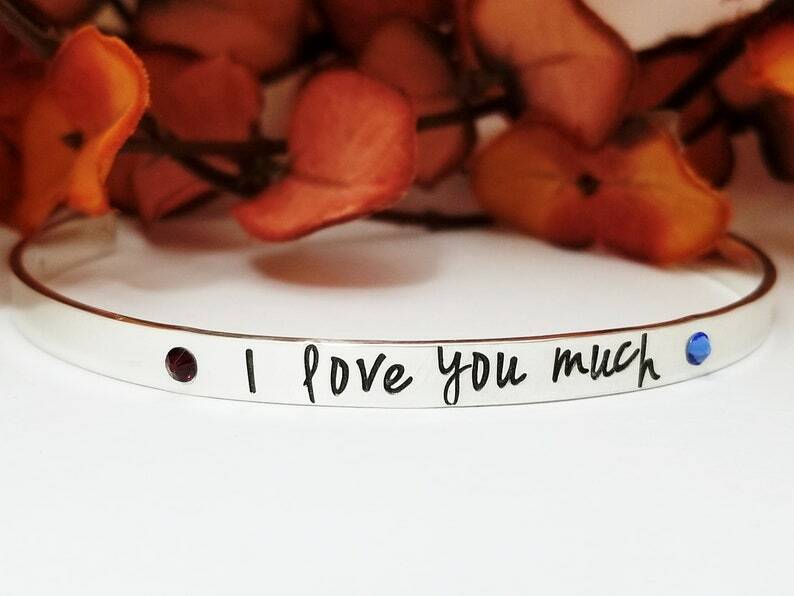 Customize this beautiful sterling gemstone cuff bracelet with names or text of your choice along with your choice of up to 6 birthstones. This bracelet is hand made with thick 1.25mm by 5mm .925 sterling silver and is available in any size for a custom fit.